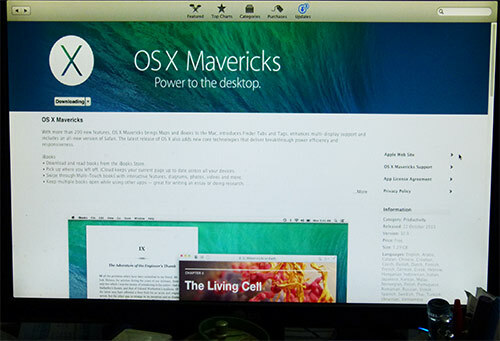 Mavericks was released last week amidst much fanfare. As is usual with any upgrades to the OS, there are many bouquets as well as brickbats. To start with it is around 5.29 GB download which once started allows you to pause and resume. Once downloaded it takes some time to install – in our case it took about 20 minutes. 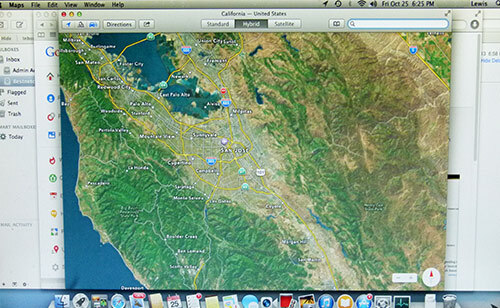 I opted to check out Mavericks for many reasons – primarily it has iBooks and Maps bundled with it. If you write ebooks in iBooks format using iBooks Author App, you need to connect an iPad to the Mac for previewing your book. Every time you make a small correction or modification, you need to hook up your iPad to view the results. Over a period of time version control becomes a pain. Now you need not hook your iPad all the time as the Mavericks has iBooks. Another app is the Maps you have become familiar with through your iPhone/iPad. So now you can plan your travel in a large monitor of your Mac and then transfer the details to your iPhone. These 2 apps are the major new apps added into this OS release. All other changes are mostly subtle. Mavericks has loads of technological changes beneath its hood – so Apple claims. 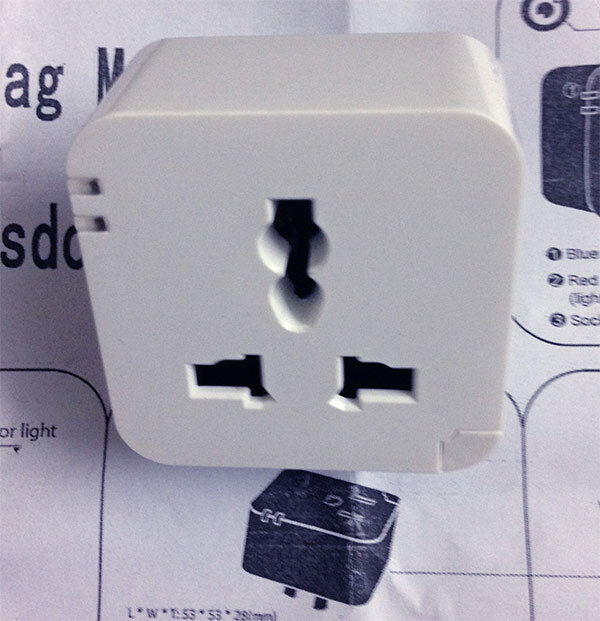 OS X has built in power saving technologies like Timer Coalescing and App Nap. Timer Coalescing is a technique where all low level operations are fused into one group allowing the CPU to enter into tiny slices of idle time. This translates into better power efficiency. For Mac Book users, it can provide decent extra time with their batteries as it saves power – by seamlessly provisioning power hungry apps in and out depending on the usage patterns. By the same token you should see some improvement in performance. It has a reworked Activity Monitor now – which displays what app consumes energy and the impact of all the apps running in the Mac. The ever trustworthy Safari gets better in this iteration. It has a souped up rendering engine making your browsing experience faster than before. Another feature in this Safari is parts of the rendering engine goes into a ‘nap’ – part of the App Nap feature – saving decent level of power and CPU ticks. Only the visible Browser Tab is running at full speed while the hidden windows are slotted into a power saver mode. 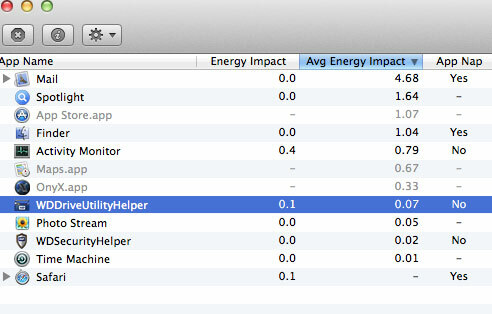 Through this App Nap enabled Safari, Apple claims that the CPU uses 35% less power. Having said all that, in the brief time I have been using the Mavericks – it appeared a shade slower than before. 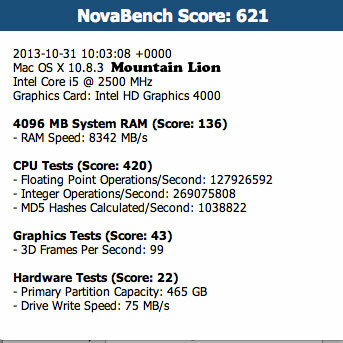 I just wanted to test the overall performance with an objective test – before (under Mountain Lion) and After (under Mavericks). I can boot off an external drive which has a clone of the original hard drive. So I can test the Mountain Lion off the external drive and test the Maverick from the regular internal drive. 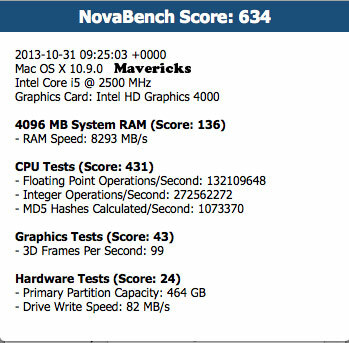 These tests use NovaBench benchmarking software and the results show a slight increase in performance under Mavericks. And all the Apps we normally run worked without any issue. They say in the automobile field that ‘there is no replacement for displacement’. In our computer field, there is no replacement for backup. But when it comes to backup – not all backups are equal when the disaster strikes. It did with my PC a week back. I have several iterations of backup created by Windows stored in many external drives. After working for nearly 3 years, my hard drive (Seagate 500 GB SATA) started reporting errors. Hard disk utility Smartctl reported ‘Reallocated Sector Count’ status as failed. 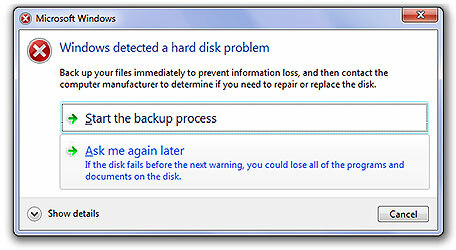 Windows reported the issue first with a message “Windows detected a hard disk problem”. And it graciously offered to take a backup which I allowed. A new drive was immediately procured and kept ready. But you need to be wary of a backup at this stage. Chances are any additional effort by Windows to create a backup from the old failing drive can precipitate an immediate failure. Recommended course of action would be to restore the System from the recent backup. But as it turned out eventually, the regular backups created so religiously at regular intervals didn’t help this time. I had to refit the old ‘failed’ drive again to take a ‘System Image’. A system image creates an exact replica of the hard drive partitions and all the contents inside. And it gets you back to where you were in a few hours. 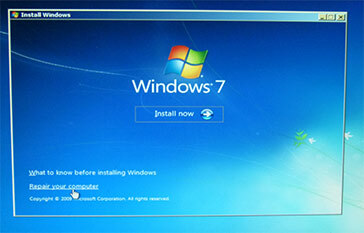 There is no need to reinstall Windows and all other software, no need to preserve the user settings. In short, a system image just takes a snapshot of your existing hard drive. Only requirement is you need to have a similar capacity harddrive (preferably external) or a bigger drive. Without a system image, you would need to deactivate all the software and laboriously reinstall them in your new drive and activate them all over again. 2. Boot up with the Windows installation DVD. Set the computer to boot from the optical drive in the boot priority. And before you power up the Computer, connect the external drive or the internal drive where you have the system image. 3. 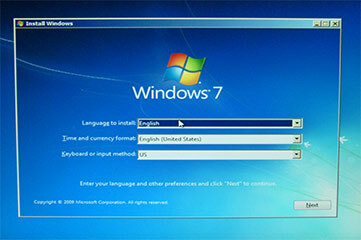 When the computer boots from the Windows Installation media – it will ask you to set the language. 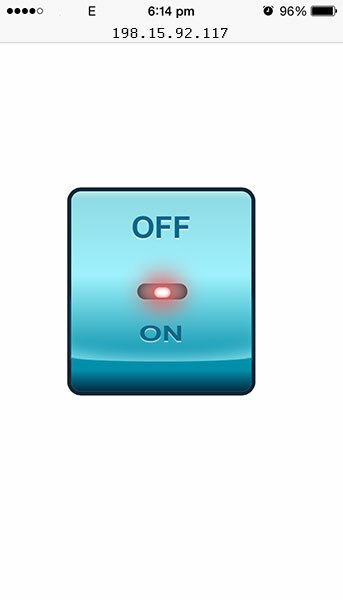 Set this and click continue. 4. It will then search through the available media for a system image and when it finds one, it will show you in the option. You need to highlight that and click Next. 5. It will ask you for format option where you can select the default option. Now Windows will format the new drive and restore your system image exactly as it was at the time you took the snapshot. 6. Settle down to wait for a few hours depending upon the size of your drive. When all is done, you can remove the Windows installation media from the optical drive and restart. You can continue as if nothing has happened. In fact when the computer came up again, the Firefox windows opened exactly with the same sites I was viewing when the Computer failed. It will create a Windows Defender Offline bootable CD/DVD or USB flash drive. But do this in a ‘clean’ PC as otherwise the malware may interfere with the creation of the media. and scan the harddrives for malicious software or malware and remove them. Windows defender is also good at removing persistent MBR infections. Another free tool to search for and remove Virus/Malware is Sophos Virus Removal Tool. This can be run from Windows after installation.